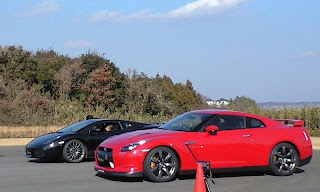 From the sounds of it , the GT-R ran into the speed limiter. That would make sense, as the limiter is about 180 km , and the GT-R should do 120.9 in the quarter. I wonder how Edmunds overcame this.